October is pastor appreciation month. 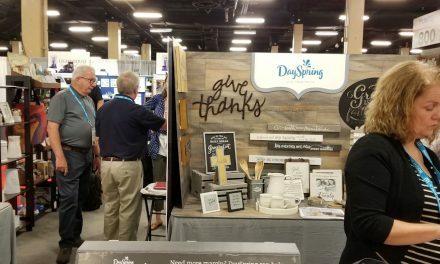 Many congregations like to buy something special for the pastor and his or her family. Here’s a short list of suggestions that pastor’s are sure to appreciate. Just like buying a gift for anyone, make sure you know your pastor’s likes, dislikes, and needs before making a purchase. Prices for these gifts vary widely, but there’s something here for every budget. Disclaimer – some of these suggestions include affiliate links to help us keep this website running. This is a good option if the pastor has an older tablet and would like an upgrade, or doesn’t have a tablet and is interested in one. 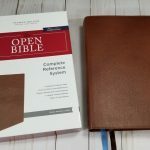 They have lots of Bibles, books, commentaries, and apps such as OliveTree’s Bible Reader, Laridian’s Pocket Bible, Logos, and more. Don’t buy one at random. It’s best to have a conversation with the pastor or someone close to them to get a better idea of what they like. 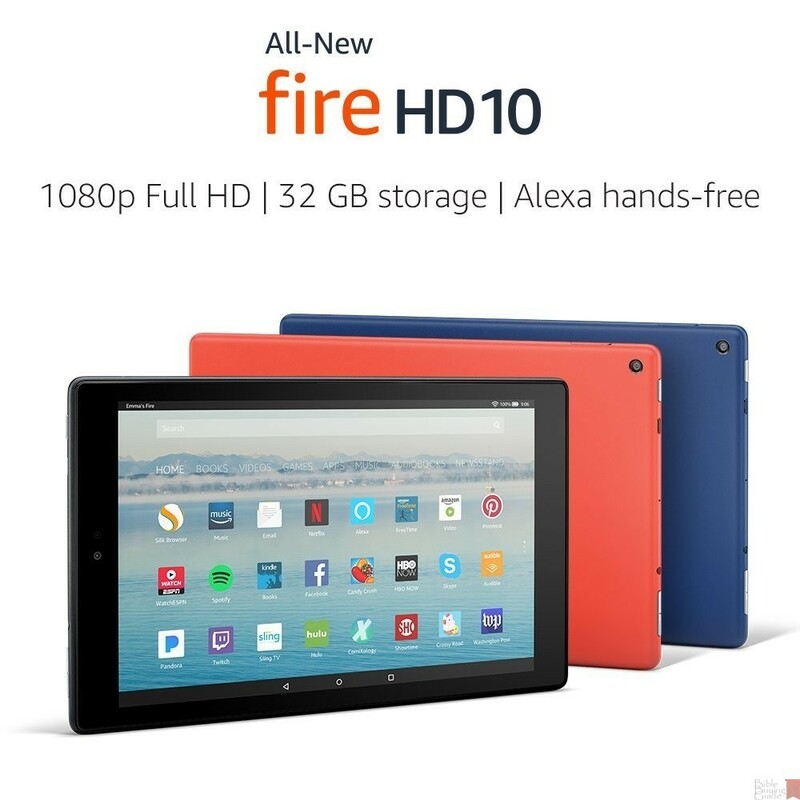 Amazon’s Fire tablet is economical and powerful. The new editions (releasing October 11, 2017) are available in 7″, 8″, and 10″ with prices range from $49 – $149 for the most economical versions. I’m partial to 10″ screens for preaching. The 10″ edition has a 1920 x 1200 screen, 32-64GB storage, microSD card slot, quad core processor, 10 hour battery, etc. 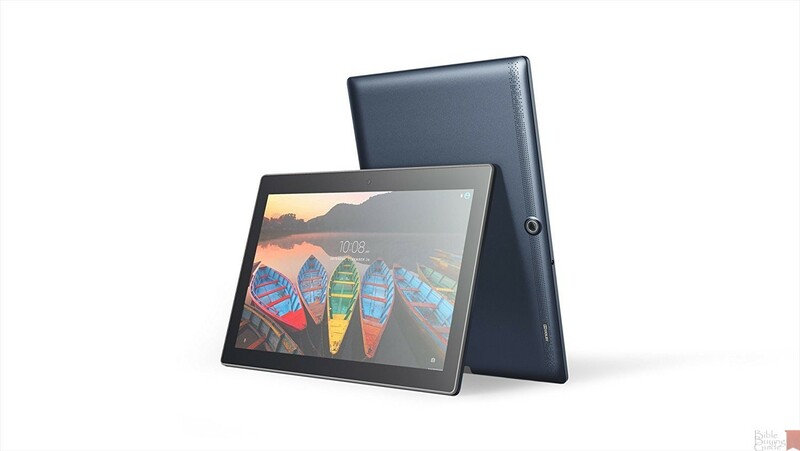 The Lenovo Tab 3 10 is an excellent tablet for preaching and reading. It’s a business-class tablet with high-res screen and it isn’t very expensive for a tablet of its caliber. It has a 1920 x 1200 screen, 16G storage, SD card expansion, 12 hour battery, etc. 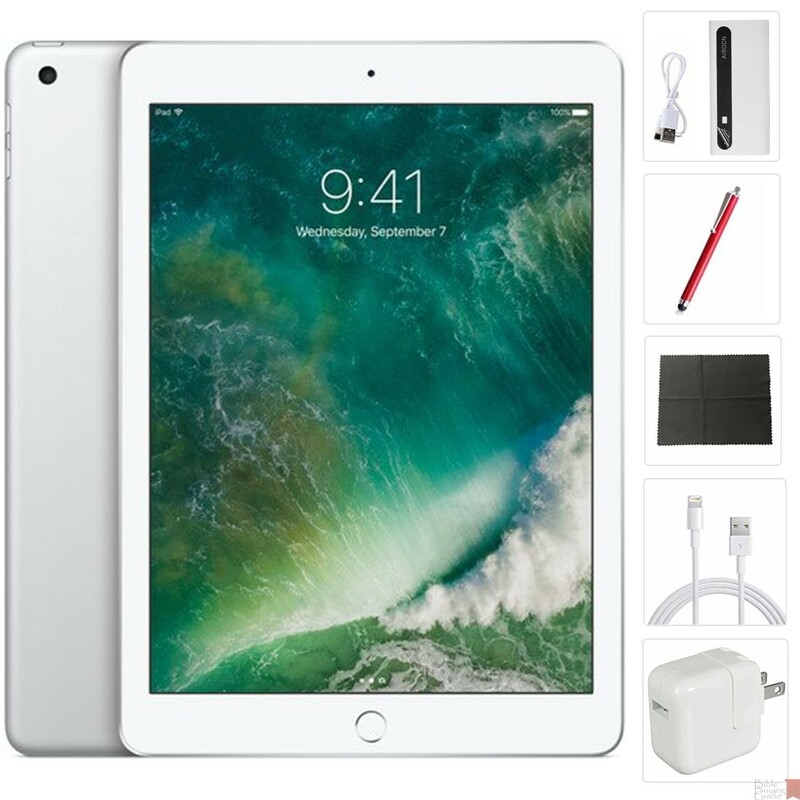 I own the Tab 2 10 and I no reservations about recommending it. It’s the one I preach from. This newer edition is even better. I don’t even have to tell you that the iPad is a super-popular tablet. 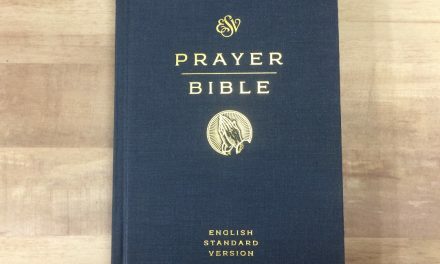 What’s so good about it for Bible software is it often gets the most attention from publishers. Apps will have features not available on other devices and some apps are only available on iOS. There are lots of choices and even models that are a couple of generations old are great for Bible study and preaching. Lucinda uses the iPad Air (the first Air) and it runs every Bible app we’ve tried and the performance is exceptional. The latest edition has a 9.7-inch screen at 2048 x 1536, 32GB, and 10 hour battery. If the pastor is tech-savvy they probably already at least use free software. Free software is great but they can be limited in their resources or resources can cost extra. There are several amazing seminary-level software packages available with hundreds of study tools. If the pastor already uses premium software then consider an expansion or upgrade. Here are a few of my favorites. Logos 7 is a popular and powerful seminary-level Bible study platform that’s available for Windows, Mac, Android, iOS, and the web. There are several packages available starting at $249. They include various tools and resources all linked together. The Gold Edition includes the Sermon Editor which builds Powerpoint presentations automatically. Use my link to get a discount and free resource. 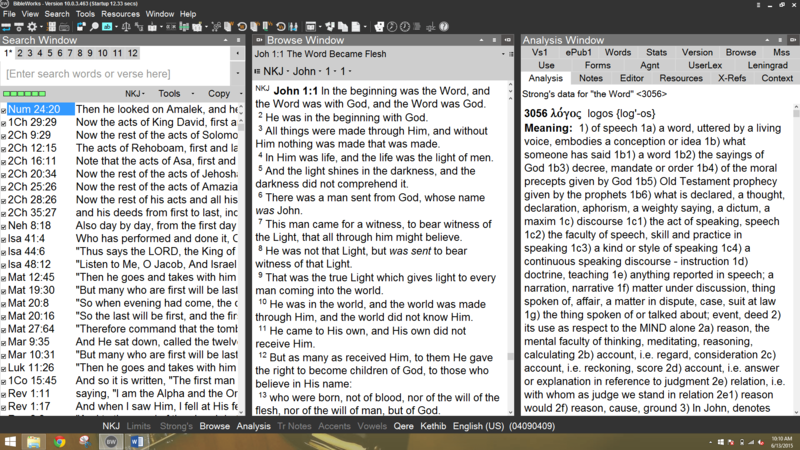 Accordance 12 is the fastest Bible program I’ve reviewed. It includes lots of resources and packages starting at $59. It’s a great choice for beginners and professionals. The English Track includes a word processor called The Paper that’s great for building sermons. It’s available for Windows, Mac, and iOS, and the Android edition is in the works. 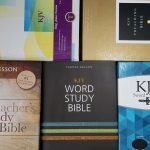 BibleWorks 10 focuses on the original languages. It’s fast and you can see tons of resources just by hovering over a word or verse. 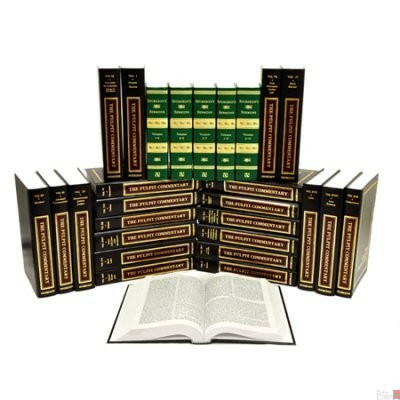 Lots of commentaries and dictionaries are included. It also includes scans of manuscripts. It has a notebook feature that lets you save your notes as a separate RTF file. It runs on Windows and Mac. It costs $389 for the full version. Commentaries are great for study and sermon prep and pastors usually need lots of them in a wide variety of theologies and writing styles. 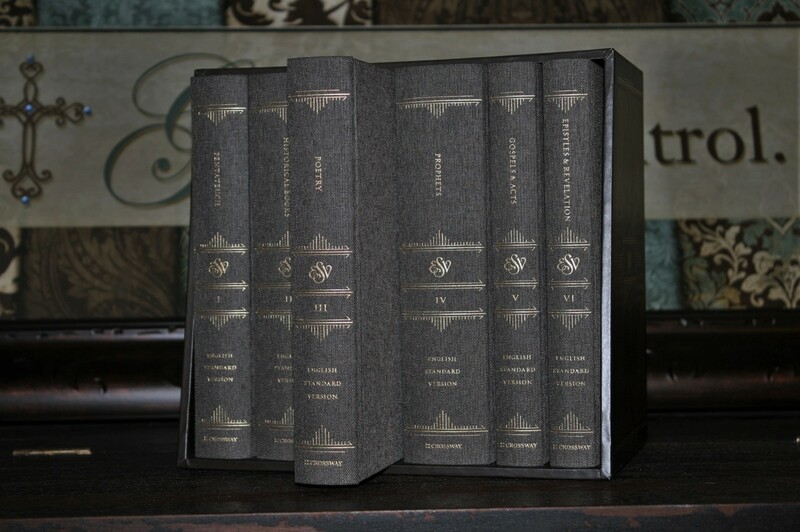 There are lots of commentaries available in both single and multi-volume sets in both print and digital formats. Many have been staples in Bible study for many years, and some even for centuries. Look for commentaries that have good reviews. Prices range from $20 or less to several hundred dollars. Make sure you know what your pastor has and is interested in. 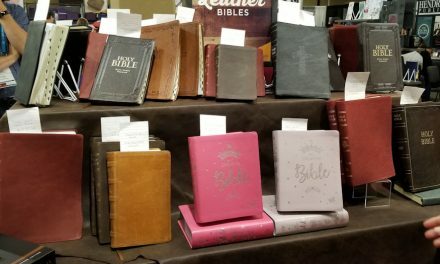 Many would disagree here, stating that a pastor should already have a Bible, but there are many types of Bibles for many uses in all price ranges and it’s very likely your pastor could use another one. Many times a pastor can’t afford special or premium editions. It’s also possible they’re not aware of certain editions that are available. Just make sure you know what they have and what they want. It’s best to ask the pastor or someone close to them. 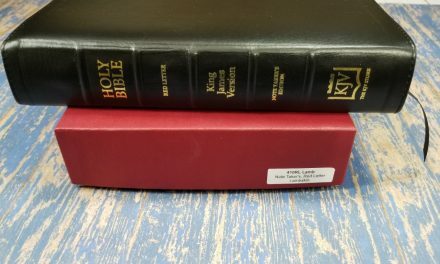 For tips from pastors about choosing a Bible for your pastor, see our article Choosing a Bible for Your Pastor. 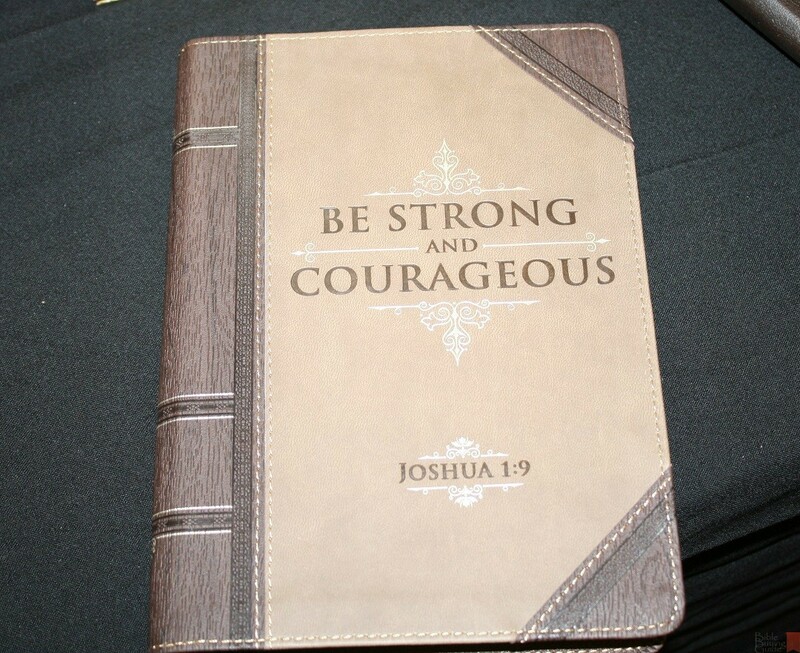 Journals are great for keeping thoughts, prayer requests, lists, study notes, preaching outlines, teaching notes, etc. Many pastors use multiple journals and fill them up quickly enough to need several on hand. Just make sure the style matches the pastor’s tastes. A good set of pens to go with it is also a good idea. You could take up a special offering for the pastor and their family. This offering could then be used for a vacation, hobby, something they’ve wanted but couldn’t afford, or even just some spending money. Any treat your pastor likes would make a great gift. This includes coffee, a country ham, a box of candy, homemade cookies, cheese, tea, a cake, etc. If possible, homemade is better than store-bought because it not only tastes better but also shows that you put time into the gift. Gifts such as coffee and tea are better when they support a cause, such as Land of a Thousand Hills. Hand-made gifts are one of a kind. They’re not thought of in the same way that cheap trinkets you can see in any Christian bookstore are. If they’re made specifically for the pastor they have a value that goes beyond the price of the item. As far as the subject itself, I would recommend something Christian-based or something that interests the pastor. 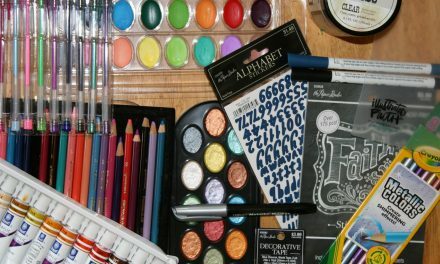 This can include a card, letter, drawing, etc. Depending on the gift, if at all possible please remember the pastor’s family as well. Every pastor is different. Some might like everything on this list while others would not. So how do you really know what to get them? Consider the conversations you’ve heard, the things they like, etc. If you’re not sure, stick to the safer gifts such as gift cards, help, or an offering. 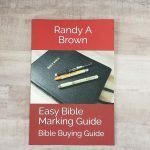 Consider purchasing as a group to help bring the price down per person while obtaining a higher quality gift the pastor would have more difficulty getting on their own. In the end it isn’t about the gift. It’s about showing your pastor how much you appreciate them. That can be done without spending a penny. Disclaimer – this article contains affiliate links to help us keep this site running. We want to hear from you. What would you add to this list? Let us know in the comments.